SAFETY FIRST! : Because my sign is an open invitation to all, and because I can't know the motives of the prospect, am I willing to have a stream of strangers in my home? What are the risks of an open house? How do I protect my family and my belongings? PRICE: Do I have sufficient knowledge and accurate information to price my property correctly so as not to defeat a sale? MARKETING: Do I know all that is involved in marketing my property in and around the Nashville, Tennessee area, and do I have access to all the resources needed, including internet marketing? Am I knowledgeable on the current market conditions? Do I understand "Fair Market Value" as apposed to "Appraised Value" or Tax Vaulue? POTENTIAL LOSSES: Every time I leave my property I am actually taking it off the market and losing potential buyers. IMPROVEMENTS: Do I know which repair is a waste of money and time and which are necessary in order to get top dollar? Do I know if my house will meet strict FHA or VA financing standards? BUYERS: Will buyers confide in me what they really want? Do I know how to distinguish between shoppers and legitimate buyers? Will prospective buyers reveal to me their true financial condition so I can qualify them? NEGOTIATE: Do I know what objections a prospect may make so I will know how to answer? Can I negotiate discretely so as to protect my interest yet not lose a buyer? Do I know how to follow up to avoid appearing anxious? LEGAL: Can I negotiate or write a valid contract? 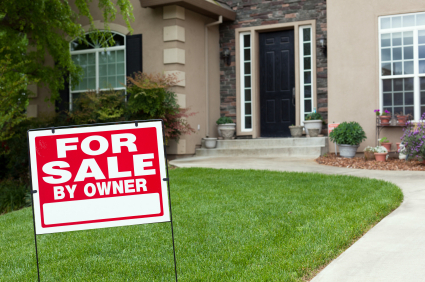 Do I know how to protect myself if the buyer also has a home to sell? Or, do I know a real estate attorney who will have the time to write the contract when it is convenient for the buyer? Will the buyer be satisfied with my attorney or will complications arise when they want to be protected by their own attorney? Am I aware of the Tennessee Property Disclosure Law and the Federal Lead Based Paint Disclosure Law? Am I knowledgeable about mold and fungus issues? FINANCING: Do I have a prepayment penalty? If so, how can I avoid having to pay it. Should I consider points or buyer's closing costs? If so where would be the best place to send the buyer to get the lowest rate? EXPENSE: If selling owners statistically show their property 47 times and if the average showing time is 35 minutes, do I have the time? More importantly, what is my time worth? Do I know what to add to cover advertising, closing costs and so forth? "If I sell my house myself, I will save thousands of dollars." Realtors® will generally sell houses for 5-8% more than the owners themselves. Sellers usually are not in a position to screen potential buyers, be home for showings, negotiate the contract, negotiate the home inspection report, coordinate the closing with the closing attorney and much more. Kim is always there to answer all types of questions we have and always gives us an honest answer. We completely trust her with all our real estate needs. Thanks so much Kim for all your work!